Статтю присвячено дослідженню теорій, пов'язаних з місцевим розвитком, визначенню й обгрунтуванню взаємозв'язку з ними теорії інклюзивного місцевого розвитку. Здійснено аналіз низки теорій і моделей, які пояснюють феномен розвитку на мікро- і макрорівнях. Дослідження показало широкий спектр, різні ідейні підходи щодо впливу на розвиток територій. Запропоновано систематизацію теорій територіального розвитку та визначено, що теорія інклюзивного місцевого розвитку логічно вписується в загальну систему. Встановлено, що теорія інклюзивного розвитку ще мало розроблена, особливо в локальному контексті. Визначено, що підгрунтям теорії інклюзивного місцевого розвитку є синтез різноманітних економічних, соціальних, екологічних та політичних теорій, вона поєднує ідеї теорій економічного і сталого розвитку та соціального добробуту. Ключові слова: місцевий розвиток; інклюзивний місцевий розвиток; теорії місцевого розвитку; теорія інклюзивного місцевого розвитку. 2. Филиппов Ю.В. Теории местного экономического развития: учебное пособие / Ю.В. Филиппов, Т.Т. Авдеева, Т.Г. Лаврова. — М.: КНОРУС, 2013. — 102 с. 3. Вакуленко В. Місцевий економічний розвиток: посібник / В. Вакуленко, Н. Гринчук, Г. Борщ, Н. Васильєва, Р. Рудницька, В. Проскурнін, Л. Оленківська. — К.: ПРОМІС, 2018. — 102 с. 4. Монастирський Г.Л. Економічний розвиток населених пунктів як об'єкт управління: модернізаційний підхід / Г.Л. Монастирський // Вісник Донецького університету економіки та права, 2013. — № 1. — С. 3—8. 5. Кизиль Е.В. Теоретический базис исследования общественно-экономической сущности развития локальных социально-экономических систем / Т.И. Безденежных, Е.В. Кизиль и др. / Перспективные тренды развития науки: экономика: монография. — Одесса: Куприенко С.В., 2016. — С. 49—65. 6. Джаман М.О. Теорія економіки регіонів : навч. посіб. / М.О. Джаман. — К.: "Центр учбової літератури", 2014. — 384 с. 7. Гранберг А.Г. Основы региональной экономики: учебник / А.Г. Гранберг — М.: ГУ ВШЭ, 2004. — 495 с. 8. Національна економіка: навч. посіб. Рек. МОН / А.Ф. Мельник, А.Ю. Васіна, Т.Л. Желюк, Т.М. Попович — К., 2011. — 463 с. 9. Acemoglu D. Why Nations Fail: The Originsof Power, Prosperity and Poverty / D.Acemoglu, J.R. Robinson — NewYork: Crow, 2012. — 529 p.
11. Занадворов В.С., Ильина И.П. Теория экономики города / В.С. Занадворов, И.П. Ильина; Гос. ун-т. ВШЭ. — Москва, 1999. — 175 с. 12. Gupta J., Pouw N., Ros-Tonen M. Towards an Elaborated Theory of Inclusive Development / J. Gupta, N. Pouw, M. Ros-Tonen // European Journal of Development Research, № 27, 2015, — Р. 541—559. 13. Gupta J., Cornelissen V., Ros-Tonen M. Inclusive development / J. Gupta, V. Cornelissen, M. Ros-Tonen // Encyclopedia of Global Environmental Governance and Politics, Publisher: Edward Elgar Publishing Limited: Cheltenham, UK /Northampton, MA, USA, Editors: Pattberg P.H., Zelli F., 2015. — Р. 35—44. 14. Klasen S. Measuring and Monitoring Inclusive Growth: Multiple Definitions, Open Questions, and Some Constructive Proposals / S.Klasen // ADB Sustainable Development Working Paper Series, ADB, vol. 12, 2010. 15. Gupta J. "Inclusive Development" Working Group. — Global South Amsterdam Institute for Social Science Research, University of Amsterdam UNESCO-IHE Institute for Water Education in Delft [Електронний ресурс]. — Режим доступу: https://www.eadi.org/wg/inclusive-development/. 17. Bos K., Gupta J. Inclusive development, oil extraction and climate change: a multilevel analysis of Kenya / K. Bos, J. Gupta // International Journal of Sustainable Development & World Ecology. — №23:6. — 2016. — Р. 482—492. 18. Гаджиев Ю.А. Зарубежные теории регионального экономического роста и развития / Ю.А. Гаджиев // Экономика региона. — 2009. — №2. — С. 45—62. The article is devoted to the research of the theories that connected to local development, the definition and substantiation of the interconnection between them and the theory of inclusive local development. An analysis was carried out of a number of theories and models that explain the phenomenon of development at micro— and macro— levels. The research showed a wide range, different approaches and mechanisms of action of territorial development theories on the development of territories. The systematization of territorial development theories was proposed and determined that the theory of inclusive local development logically fits into the overall system. Was established that the theory of inclusive development still little developed, especially in the local context. The research highlighted the major groups of theories connected to local development: spatial theory and placement theory, cumulative theories, theories of economic growth, institutional theories, new theories of economic growth and economic geography, the theory of social welfare and other modern theories. As was found during the research, for a long time in scientific discussions on social and economic development prevailing approach, within which economic growth was considered the most important factor. Over time, it became apparent that economic growth is not enough to improve the well-being of the population. In recent decades, more and more emphasis has shifted towards immaterial dimensions of quality of life. Gradually, an approach is adopted in which the needs and challenges of modern development determine and shape the social, economic, political and environmental factors in the specific context of the country and the locality. Such an approach is called inclusive development. The research found that in Ukraine, as in the world, there is now an urgent need to develop the theoretical foundations of inclusive development, primarily at the local level, that is the theory of inclusive local development. It has been proved that the basis of the theory of inclusive local development is the synthesis of various economic, social, environmental and political theories, it combines the ideas of theories of economic and sustainable development and social welfare. Keywords: local development; inclusive local development; theories of local development; the theory of inclusive local development. 1. Romanyuk, S.A. (2014), "Conceptual foundations of regional development: from theory to practice", Regionate, [Online], available at: http://regionet.org.ua/files/01.RD_Concept_Romanyuk_UA.pdf (Accessed 10 Oktober 2018). 2. Filippov, Yu.V. Avdeyeva, T.T. and Lavrov, T.G. (2013), Teorii mestnogo jekonomicheskogo razvitija [Theories of local economic development], manual, KNORUS, Moskow, Russia. 3. Vakulenko, V. Grynchuk, N. Borsch, G. Vasyleva, Rudnytska, R. Proskurnin, V. and Olenkivska (2018), Mistsevyj ekonomichnyj rozvytok [Local economic development], manual, PROMIS, Kyiv, Ukraine. 4. Monastyrsky, G.L. (2013), "Economic development of settlements as an object of management: a modernization approach", Visnyk Donets'koho universytetu ekonomiky ta prava, 2013, vol. 1, рр. 3—8. 5. Kizil, E.V. (2016), "Theoretical basis for the study of the socio-economic essence of the development of local socioeconomic systems", Perspective Trends of Science Development: Economics, monograph, Kuprienko S.V., Odessa, Ukraine, p. 49—65. 6. Jaman, M.O. (2014), Teoriia ekonomiky rehioniv [The theory of the economy of the regions], manual, Center for Educational Literature, Kyiv, Ukraine. 7. Granberg, A.G. (2004), Osnovy regional'noj jekonomiki [Fundamentals of Regional Economics], Textbook, Higher School of Economics, Moskow, Russia. 8. Melnyk, A.F. Vasina, A.Yu. Zhelyuk, T.L. and Popovych, T.N. (2011), Natsional'na ekonomika [National economy], manual, Kyiv, Ukraine. 9. Acemoglu, D. and Robinson, J.A. (2012), Why nations fail: the origins of power, prosperity, and poverty, New York, USA. 10. Shchenova, V.B. 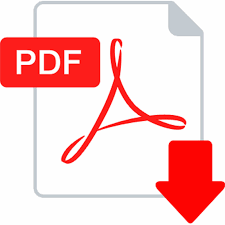 (2004), "History of financial thought: lecture notes", [Online], available at: https://economylit.online/history-ekonomik/teoriya-suspilnogo-dobrobutu-36072.html (Accessed 10 Oktober 2018). 11. Zanadvorov, V.S. and Ilina, I.P. (1999), Teorija jekonomiki goroda [Theory of city economics], Higher School of Economics, Moskow, Russia. 12. Gupta, J. Pouw, N. and Ros-Tonen, M. (2015), "Towards an Elaborated Theory of Inclusive Development", European Journal of Development Research, vol. 27, рр. 541—559. 13. Gupta, J. Cornelissen, V. and Ros-Tonen, M. (2015), "Inclusive development", in Pattberg, P.H. and Zelli, F. (Ed. ), Encyclopedia of Global Environmental Governance and Politics, Edward Elgar Publishing Limited: Cheltenham, UK /Northampton, MA, USA, pp. 35—44. 14. Klasen, S. (2010) "Measuring and Monitoring Inclusive Growth: Multiple Definitions, Open Questions, and Some Constructive Proposals, Sustainable Development", Working Paper Series, vol. 12, ADB, Manila. 15. Gupta, J. "Inclusive Development" Working Group, Global South Amsterdam Institute for Social Science Research, University of Amsterdam UNESCO-IHE Institute for Water Education in Delft, [Online], available at: https://www.eadi.org/wg/inclusive-development/ (Accessed 10 Oktober 2018). 16. "Inclusive Development", [Online], available at: http://www.hiproweb.org/fileadmin/cdroms/Handicap_Developpement/www/en_page61.html (Accessed 10 Oktober 2018). 17. Bos, K. and Gupta, J. (2016), "Inclusive development, oil extraction and climate change: a multilevel analysis of Kenya", International Journal of Sustainable Development & World Ecology, vol. 23, no. 6, рр. 482—492. 18. Gadzhiev, Yu.A. (2009), "Foreign theories of regional economic growth and development", Jekonomika regiona, vol. 2, pp. 45—62.